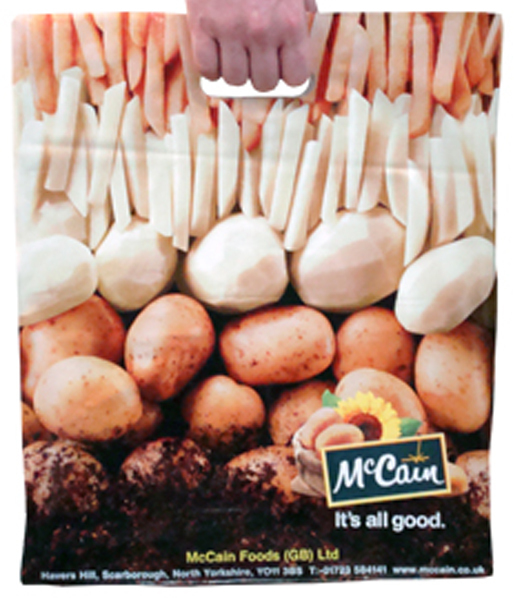 Midpac and Packaging Lincs offer printed carrier bags from as few as 50 bags. 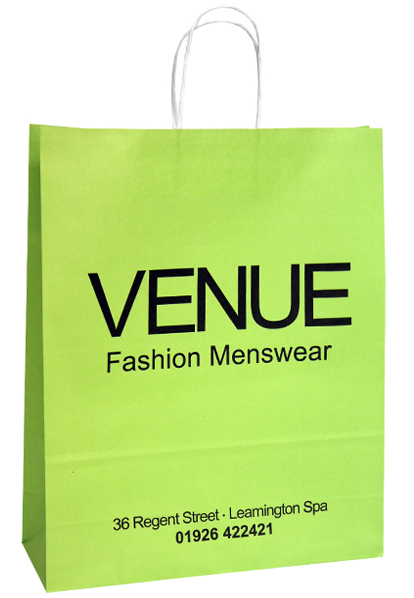 Whether you are looking for printed paper carrier bags, printed polythene carrier bags or printed cotton bags we will be able to help you. With print facilities here in the UK, Eastern Europe and the Far East. We specialise in creating the right product, at the right price for your requirements. 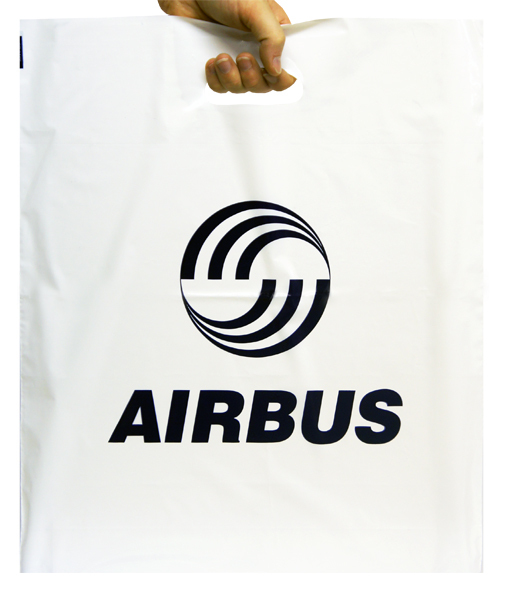 All of our printed polythene carrier bags are now produced from Bio-degradable or Biothene LDPE or HDPE material. Standard film micron is 45mu up to 75mu heavy duty. 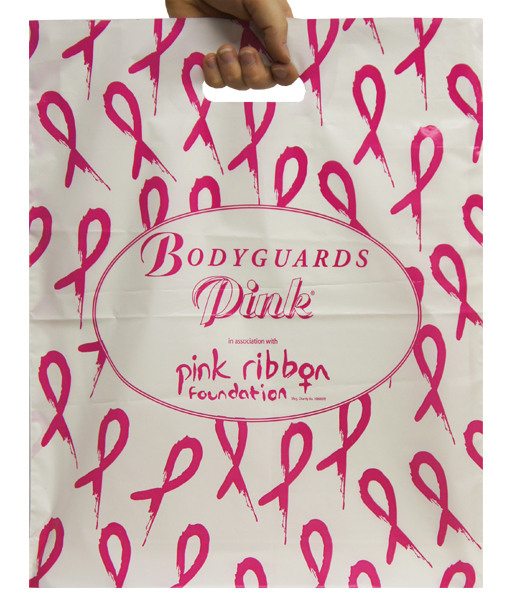 Handles can be produced punched out, reinforced patch, flexi loop or turnover top. 7 working day Fast Track service available on certain lines. Normal lead times can range from 2 weeks up to 16 weeks. 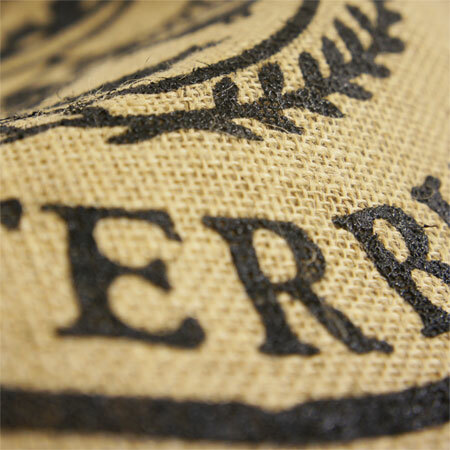 Our experienced team will take care of your order from the artwork stages right through to despatch. 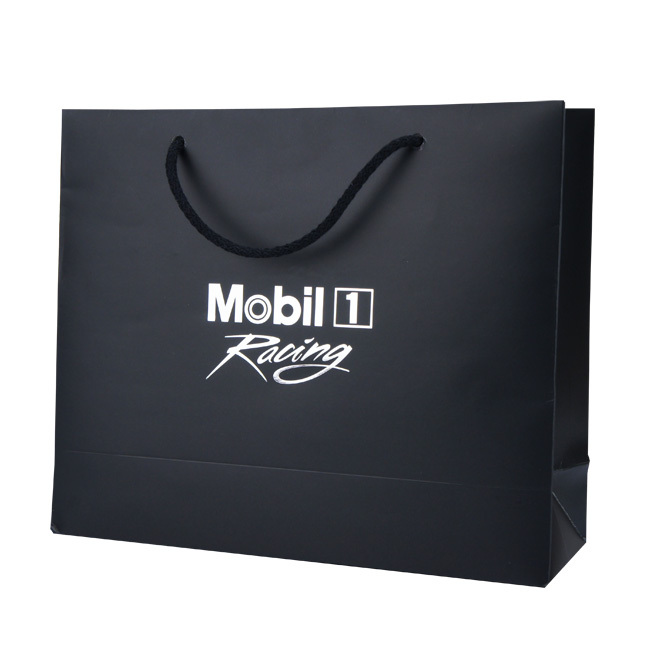 Luxury matt or gloss laminated paper carrier bags printed from as few as 50 bags (stock sizes). 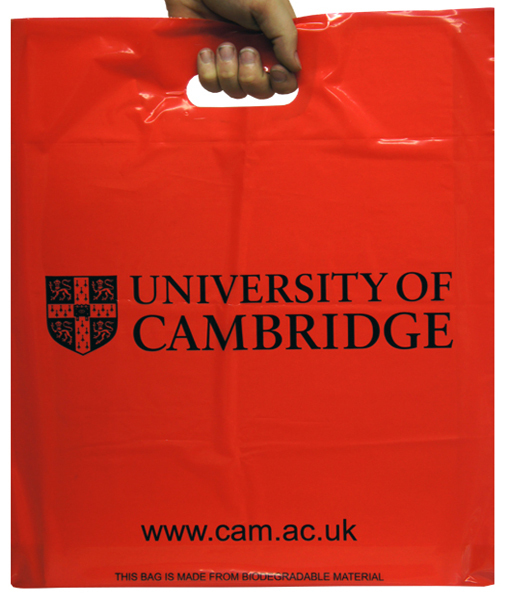 Midpac stock 12 colours of matt laminated paper carrier bags and 3 popular colours of gloss laminated paper carrier bags, all of which are available printed 1 or 2 spot colours from 50 bags. 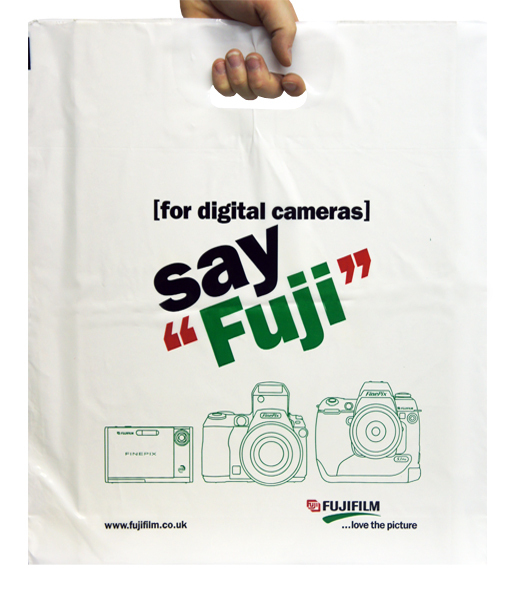 Larger quantities or multi coloured designs start from 250 bags litho or digital printed here in the UK. 1000 plus quantities are printed and from our partner factories in Turkey and China. 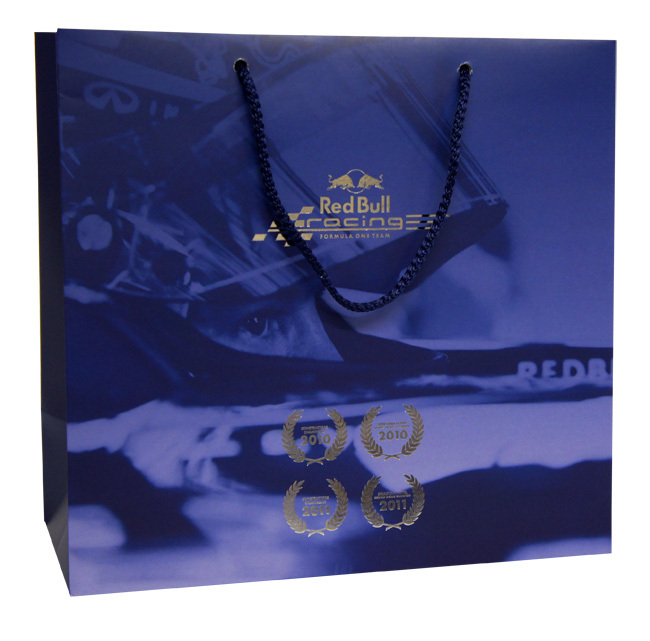 We offer a wide variety of finishes such as foils, embossing, debossing, UV varnish, internal prints. Handles lengths can be either short or long, produced from nylon, polyester, cotton or ribbon. 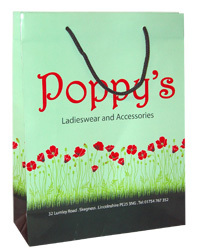 Printed paper carrier bags in either white kraft, brown kraft or coloured kraft paper. 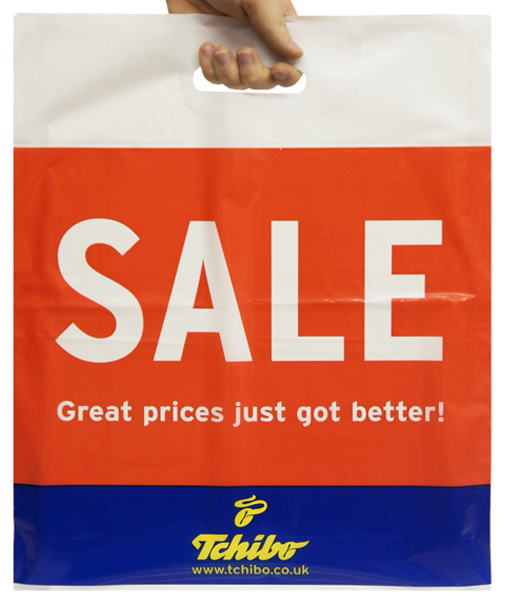 All of our stock twisted handle paper carrier bags can be over printed single colour from 150 bags. 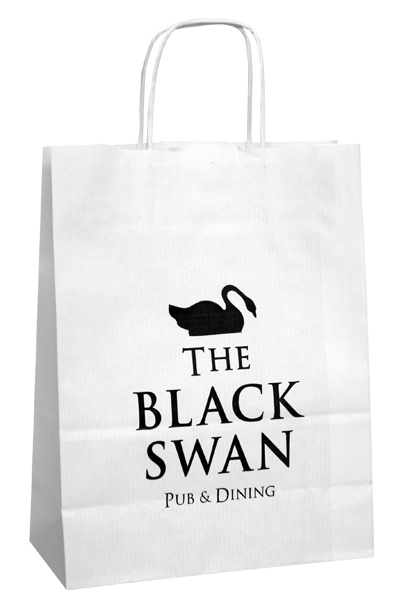 Multi coloured paper carrier bags are printed pre the bag being formed, this enables us to offer a perfect print onto surfaces and gussets before construction. Lead times depends on quantity and design required, from 2 -10 weeks. 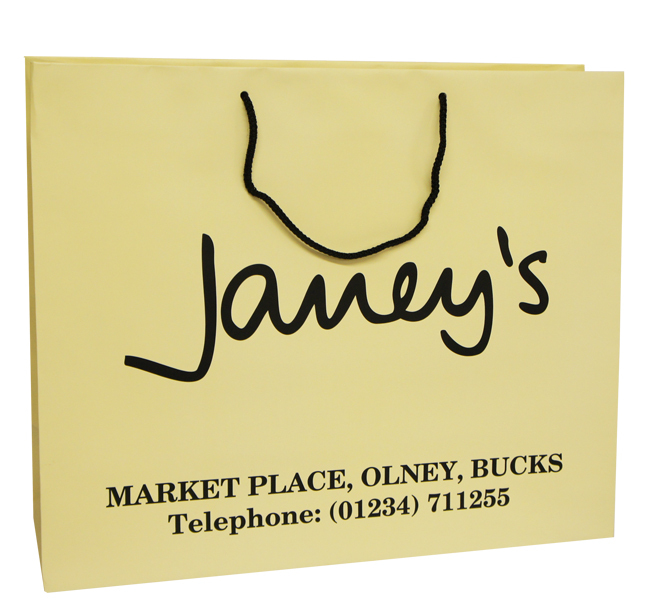 Midpac are one of the largest stockists of plain jute bags in the UK. 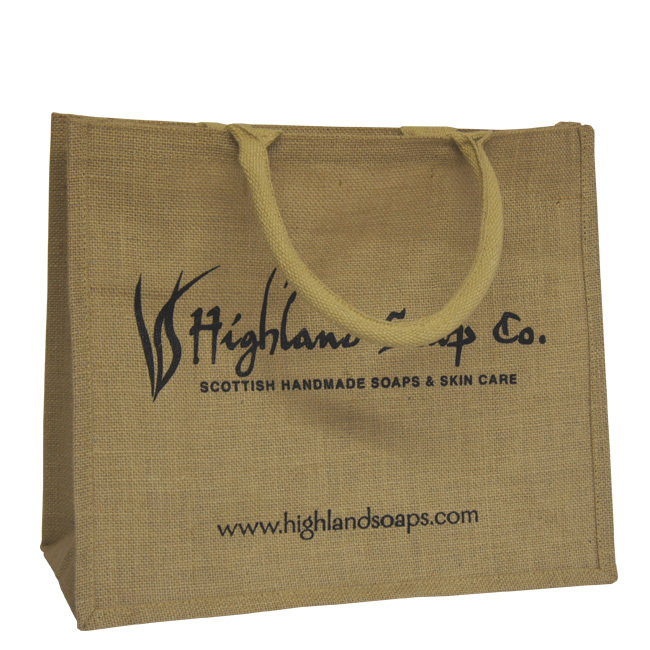 All of our jute bags are available to purchase plain or screen printed from as few as 50 bags. 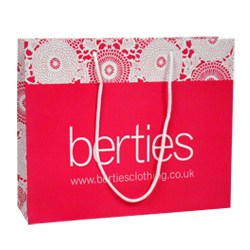 Various sizes, colours and styles available to choose from. 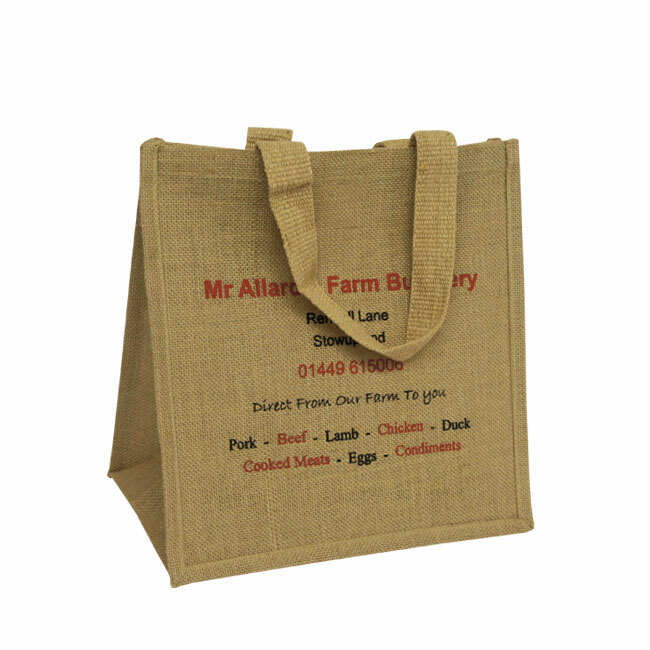 Smaller quantities of printed jute bags 50 to 1000 can be screen printed within 10 working days, single colour up to 3 spot colours open register designs. 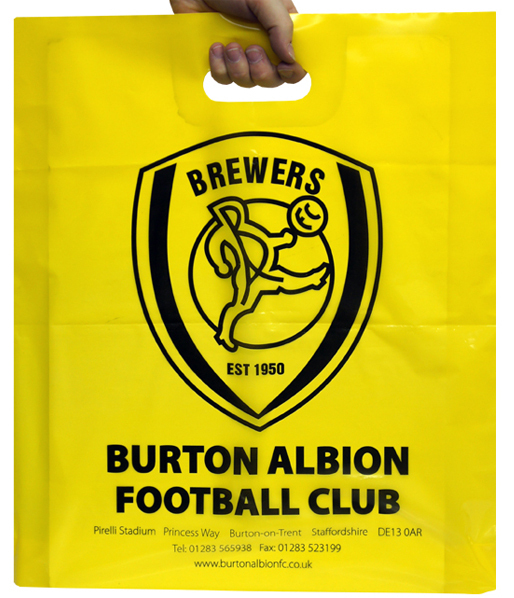 Larger print runs are produced from our partner factory in India, this allows us to offer bespoke sizes, styles, handle formats or print upto 8 colours, as well as pantone dyed fabric. 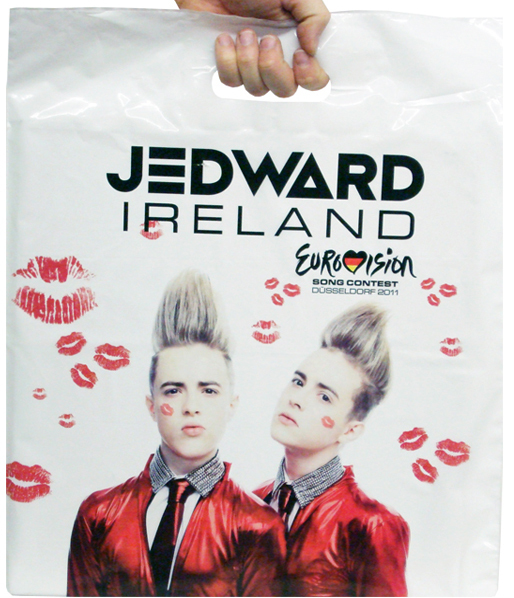 Matt or gloss laminated paper carrier bags printed with a high quality metallic foil. 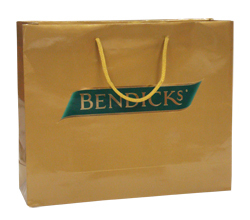 Quantities on foil blocked carrier bags start from as few as 100 bags. 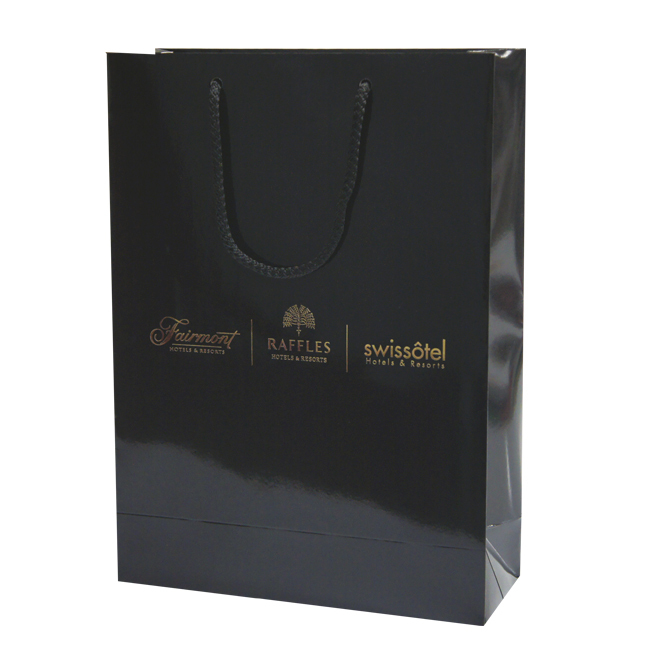 The foil is pressed onto stock laminated paper carrier bags or over printed to bespoke litho printed bags to achieve a luxury finish.